Miami Dolphins quarterback Ryan Tannehill is slated to miss his fifth consecutive game this coming Sunday against the Green Bay Packers. Tannehill has not been on the field since suffering a shoulder injury during the team’s loss to the Cincinnati Bengals back in Week 5. The Dolphins themselves are now in a bit of trouble regarding their handling of Tannehill’s injury report. 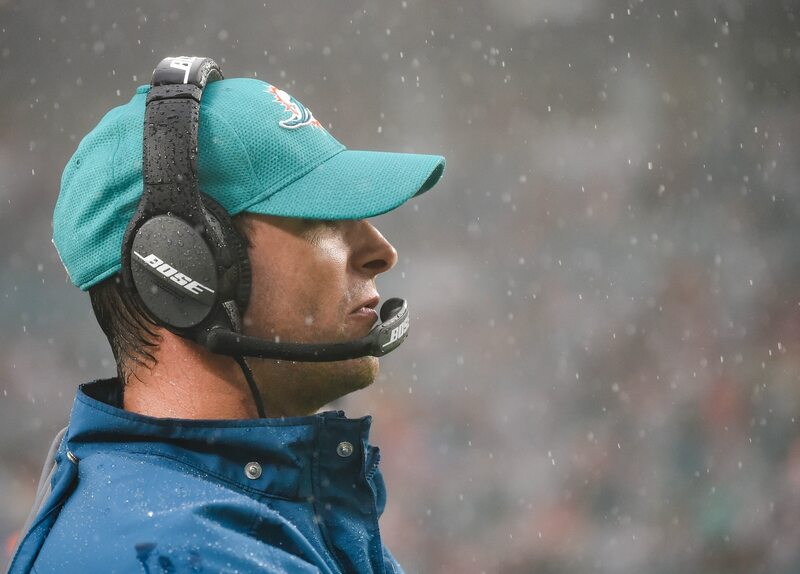 According to Albert Breer of MMQB, the organization has been fined $30,000 with head coach Adam Gase getting a $15,000 fine. That’s certainly no small thing right there. The NFL is a stickler when it comes to things like this. Miami found that out first hand on Wednesday. The larger issue here is how this organization has handled Tannehill’s injuries over the past few seasons. He missed the entire 2017 campaign after undergoing surgery on a torn ACL the quarterback suffered late the previous season. And now this. We have to wonder what’s happening behind the scenes in South Beach.